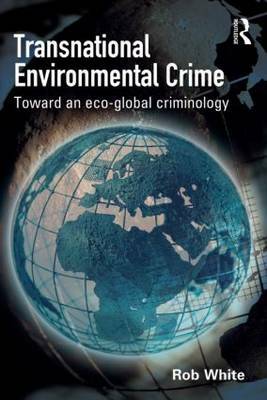 This book provides a comprehensive introduction to and overview of eco-global criminology. Eco-global criminology refers to a criminological approach that is informed by ecological considerations and by a critical analysis that is global in scale and perspective. Based upon eco-justice conceptions of harm, it focuses on transgressions against environments, non-human species and humans. At the centre of eco-global criminology is analysis of transnational environmental crime. This includes crimes related to pollution (of air, water and land) and crimes against wildlife (including illegal trade in ivory as well as live animals). It also includes those harms that pose threats to the environment more generally (such as global warming). In addressing these issues, the book deals with topics such as the conceptualization of environmental crime or harm, the researching of transnational environmental harm, climate change and social conflict, threats to biodiversity, toxic waste and the transference of harm, prosecution and sentencing of environmental crimes, and environmental victimization and transnational activism. This book argues that analysis of transnational environmental crime needs to incorporate different notions of harm, and that the overarching perspective of eco-global criminology provides the framework for this. Transnational Environmental Crime will be an essential resource for students, academics, policy-makers, environmental managers, police, magistrates and others with a general interest in environmental issues. 'Human beings draw lines around property, cities, states and nations, lines which we kill and die to protect. But air, water, windblown dust and seeds and migrating animals, pay no heed to human borders.